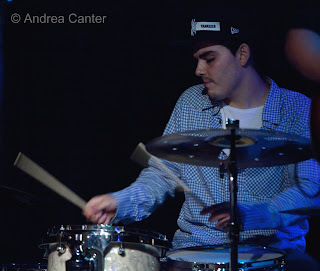 I think he was about 14 when I first heard Miguel Hurtado play the drums with a quartet of young teens. They were on the MacPhail Youth Stage at the Hot Summer Jazz Festival. Maybe 2003? 2004? The group was known as the Eggz, headed by a young saxophonist named Owen Nelson. The Eggz played around town off and on for a few more years; Miguel moved among the Eggz and a few other teen jazz bands, as well as handling the trapset for Minneapolis South High and various area jazz camps. 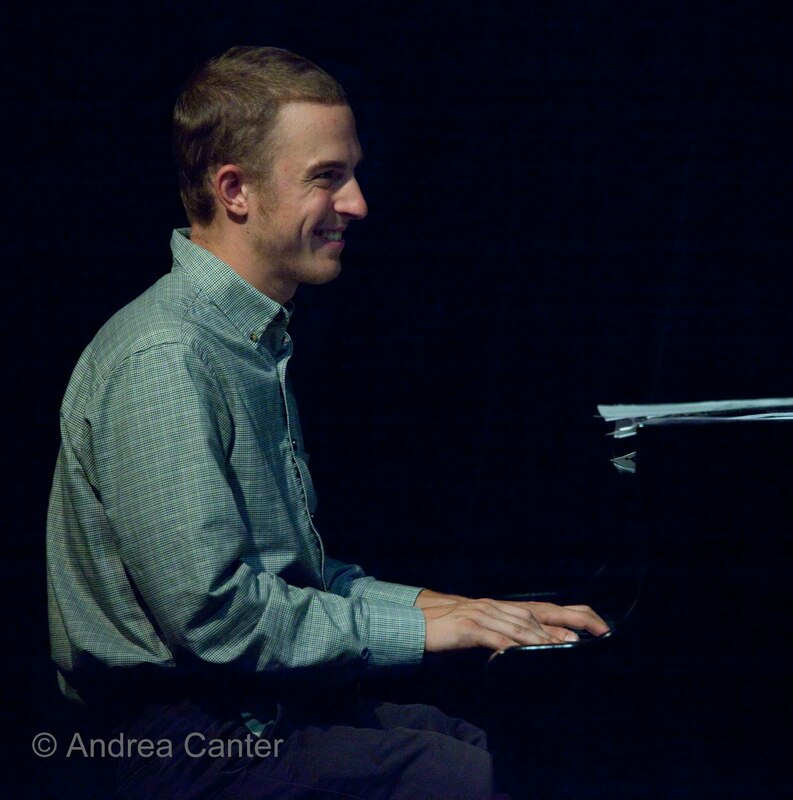 But his presence at the annual jazz festival was a constant; if he wasn’t playing with a scheduled band, he was sitting in at jam sessions or, as he moved into college studies at the Manhattan School of Music, he was likely to be part of the rhythm section for another performer. It would be accurate to say that Miguel Hurtado grew up with the jazz festival. That Miguel has matured into the role of bandleader was clearly evident at the 2011 Twin Cities Jazz Festival, when the 23-year-old put together a quintet combining local and Chicago-based talents, blowing down the Sixth Street Stage with one of the most exciting surprises of the weekend. 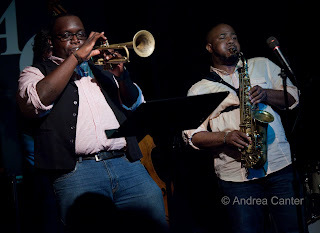 Not only did he involve two of the area’s premiere string players in bassist Graydon Peterson and guitarist Zacc Harris (“old” guys barely into their 30s) , Miguel introduced the local jazz audience to trumpeter Marquis Hill and alto saxophonist Christopher McBride, both active on the Chicago jazz scene and barely older than Miguel. Their set of mostly original music was filled with nonstop fire and energy. But it was perhaps somewhat surprising when the Miguel Hurtado Quintet landed a weekend gig at the Artists Quarter barely two months later. This time Miguel enlisted another “older” local star to fill the bass chair, James Buckley. And in addition to Harris and his Chicago horn team, Miguel expanded the ensemble to a sextet for the first night, with an even younger Joe Strachan on piano. Filling a space originally planned for Javier Santiago, who ended up with a gig in China, the U of M junior from Northfield was no stranger to Miguel or to the AQ. In fact he was just on the bandstand there as part of the TCJS Young Artists Series a few weeks ago, in a trio led by Remy Taghavi. The Artists Quarter was close to full on Friday night; undoubtedly some of the crowd had been on Sixth Street when the band played its inaugural gig during the festival. Undoubtedly some, like me, had known Miguel since his middle school and high school days. And since it was a Friday night, undoubtedly there were some in the audience who came to the AQ just because it’s a top choice for live jazz. I don’t imagine anyone was disappointed. The long first set seemed even more focused, more exhilarating than the festival performance; Hill and McBride are young monsters who show no hesitation in exploring the far reaches of their instruments or challenging their cohorts to do the same. Much of the setlist was original compositions; each piece gave ample opportunity for each musician to shine. A particularly engaging work by Joe Strachan suggested the power of Chick Corea or Wayne Shorter. But maybe it was the riveting cover of “Com Alma” that was most inspiring? Miguel Hurtado already knows how to put together a band and make the most of each musician’s talents, including his own. And he’s been working toward this moment for more than a decade. It’s a moment fueled by family support, topnotch teachers and mentors, and invaluable opportunities like the Twin Cities Jazz Festival’s youth stages and jam sessions. And Miguel’s own hard work and fearless ambition.